Google Project Fi is calling -- will you answer? The waiting begins. This afternoon I asked the great Google god to bless me with an invite. If my homage is accepted, someday soon I can pay for the privilege of using the company's new piggyback cellular phone service. The thing is so exclusive, only one smartphone is supported. It's Nexus 6, or nothing, baby. I own one, so happens. 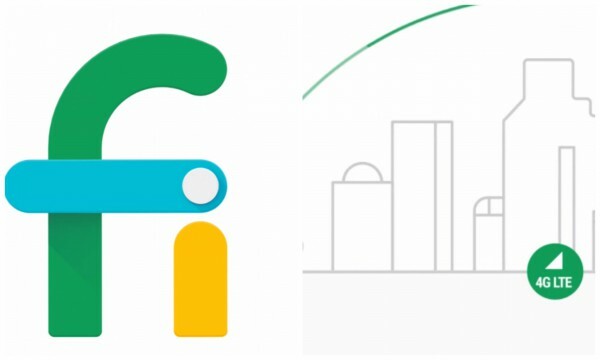 Project Fi switches between Sprint and T-Mobile cellular networks for core connectivity alongside wireless hotspots. That's why I call it a piggyback service; Google is not building out its own infrastructure. Fi is contextually conceived and consumed. Nexus 6 switches networks based on location and availability. Your phone number traverses devices, providing access on laptops and tablets, too. Context is what differentiates this service from every other. The concept extends to data. Google charges for what you consume, no more. Initially, data is available in 1GB blocks for $10 each. You start by choosing an expected monthly amount. Use more, and Google gives you more. Use less, and the difference is credited. In other words, you don't pay for what you don't use. Basic service costs $20 a month, for "unlimited domestic talk and text", "unlimited international texts"; "low-cost international calls"; "WiFi tethering"; and "coverage in 120+ countries". So, if in a month you call within the United States and sign up for 2GB data, you pay $40 minus the credit for leftover data. Data fees are consistent everywhere, but speed isn't. Stateside, subscribers can expect 4G and LTE speeds, without throttling. Internationally, they get 256kbps, but keep the same $10 per gigabyte fee. That's a bargain. For example, Verizon data roaming costs an additional $25 per month per line with 100MB limit. There is a pay-as-you-go option that works out to $20.48/MB. International calling rates vary depending on method, location, and calling destination. The flat-rate for cellular roaming calls is 20 cents per minute. WiFi calling costs less, but varies depending from where to where. Google doesn't charge extra to set up phones as WiFi hotspots, so, yes, you can tether. Data consumed over WiFi does not count against your allotment. Contextual network roaming might make some people worry about security. Your phone will switch from cellular to "WiFi networks that do not require any action to get connected (such as, enter a password, watch an ad, or check-in). We use a network quality database to help determine which networks are high quality and reliable". Google uses VPN to protect data and calls over open hotspots. There is no annual contract, but there could be obligation for the smartphone. Customers can bring their own Nexus 6 or buy one from Google. Either of two ways: Full price (32GB, $649; 64GB, $699) or 24 monthly payments (32GB, $27.04; 64GB, $29.12). Only the Midnight Blue color is available. Project Fi reveals alternative purpose behind Nexus 6's design. The smartphone is the first in the series that qualifies as a global phone, by supporting CDMA and GSM networks. For Americans using Sprint or Verizon that's a benefit. But the capability also enables the network-hoping Google uses for its own service. I plan to sign up for the service's invite-only Early Access Program, assuming Google god blesses my request. I will port my number to the service, which at this stage is only available to individuals. There are no family plans. We are BetaNews, and what's more beta than this, eh?